I have a request to ask tarot about this lady who went missing from hospital when her child was due to be birthed. The very first card I have is 3 or Swords when asking what happened to her this three is showing us a very sad and unhappy situation. According to this card it suggests that Krystal was involved in a three way relationship. It might be two guys and not knowing which one of them the child belongs to or just that there are three people involved in a relationship and Krystal might have been concerned about it. I dont see Twins, but at a longshot if it was twins, including Krystal equals three and she might have had a problem with that. Going back to this three of Swords - it can be a card of abortion. Therefore, she either wishes to abort child or a very destructive relationship. This card can also tell us that a 'lover has or might leave her' all good reasons to perhaps be in an unhappy situation? Dates & Timing: October 3 to October 12 are given on this card however sometimes it does,nt always have a significance. As swords is a communication card we have to bear in mind that something could have been 'said' or 'thought' to or by Krystal which could have caused her to vanish the way she did. A container is linked to this card and therefore can suggest something suppressed or kept enclosed, therefore thoughts and communications may only be known by her. Tears, emotional suffering, emotional pain, sorrow, intense pain, worries, love triangle, and seperation are all part of Krystals situation. The direction East along with Spring and sunrise are all connected to Krystal. The end of an affair or relationship has affected her. Obviously my next question would be where did Krystal go? and Im not quite sure I have the answer in this card above. However, what it does tell me is that there might be a 'dark child' and it does seem that there would be 'fighting' over it quite likely. In this card you can see Krystal battling to stand her ground but perhaps one of the males is also battling for his. I have not read this case as yet but if there are two males in or connected to Krystal have they been spoken to? The seven of wands gives the direction of South in the summer. There is a large hill in this picture. Krystal seems to want to put herself out of harms way. Krystal dislikes loyalty with a Mars in Leo aspect on this card and she will have had a lot of pride and not want to be overwhelmed or dominated by other peoples wishes or suggestions. Krystal would want to be capable and able to have a child and be able to look after it , have a job and have everything under control, this is part of her psyche and makeup. If this does not happen then Krystal would be very likely to a bout of anger or annoyance. Leo is the UK and Mars placement could be in a city where it is known for slight volatility. This card 7 of wands can see Krystal in a position where she feels 'attacked' in some way notice that she is standing by a stream also. Therefore she could be placed somewhere agricultural with river/small stream nearby as part of her vicinity. I also seem to see she has lost a shoe somewhere? I just feel that Krystal wanted to make a stand and decide for herself what she wanted. Some say this card can show a person near a cliff and that their attackers are actually imaginary. Im not sure whether that sounds very good or not. Wands are action cards which suggests taking action and one can only assume that action has been decided by Krystal herself. I also seem to feel that Krystal had something to do with a bookstore, she would have stood out being pregnant perhaps there was something she wanted to do herself - like find out how to deliver her own baby? she may have also wanted a waterbirth and could not have one ? Im feeling this might have been a PRIOR thoughts to leaving the hospital. From the seven of wands we go into the 8 of wands which shows going over country to a house on a hill. That too has a stream running through it and a very swift direction to get there. I am thinking that is where Krystal went as it follows the seven of wands where she wanted to stand up for herself and make her own decisions about her situation. I notice also that on the 8 of wands we also have SOUTH as a direction. She might have gone there to see someone as the eight can be a message or letter. This is NOT the card that came forward however, it was the seven, but we could consider what the next step may be and it seems she went somewhere to perhaps speak to someone. She really may have wished to speak to someone in a relationship out of the two suitors. One of the possible reasons why Krystal has not contacted anyone since she 'disappeared' is because she was depressed and worried about what she could do. This is a card that might suggest a death or loss. She may have lost her child or indeed she may herself have passed. The indication on the blanket on this bed is zodiac signs which as you know are made up into a year which is the time she has been missing. 9 of swords is 9 months which is the gestation period of a child. She really could have lost this child and because of that has been filled with guilt and distress. If Krystal is with us, she would be likely to be very poorly with mental anguish and bad health. This card is a completion card and can represent either of the above suggestions. Asking if Krystal will be found - this card is the 10 of swords reversed. As this card promotes better health and tells us that disasters are overcome and survival instinct kicks in, I should say that Krystal will be found. 2010 may be the year but not until the end of the year. If she is alive she is ready to get back on her feet then, and if not, she will be found anyway. She may already have been 'found' in a manner though during some period of her disappearance because there is a Page of Swords that I see that is likely a dark haired youngster. Perhaps that is to come and not already a definite situation. We know at the current time there appears to be no communication. Someone might have said they know where she is but it might be just rumour or gossip. Investigations into this may occur. Investigators might find disturbing or exciting news towards the end of the year that she has begun a new life. I cannot guarantee all the details of tarot nor be 100 per cent but no doubt they may have a bearing in some way or another. Trains often come into the picture with Page of Swords but as this was a following card of 10 of swords, it may not have come into play at the moment. As we also have a 7 in the tarot reading for Krystal and it is for ACTION - we must also consider that sevens can have a deceptive quality. Therefore deceptive actions might have taken place. I will look again for Krystal and update. I have now read the case details on Krystal and I see how the tarot falls into place. I am quite surprised how much it has revealed. The main thing is to discover what happened to Krystal on June 20th after Midnight and I have asked put that question to the tarot. You can see that I have a 6 of Cups reversed. This card distinctly shows us that Krystal was reminiscing the past, friends, family lovers. This card tells us that she is being very unrealistic about her thoughts and feelings because the love she wanted is in her mind and not concrete. It seems to me that she was thinking about the future and what she wanted to do or even who she wanted in it. From what I can see this card tells us that she has possibly linked up with an old lover or someone she knew - like a first love - it may be that it is the father of her child which I now know is unknown. I cannot guarantee this but it does definately point to someone she already knew but that they were part of her emotional past. I am not feeling it is immediate family, I do think its about or to do with a love attraction. I do not think it was a stranger, I do think it was someone she knew. I feel that Krystal had an imagination that let her believe things that could come true and she may have sought this person out herself. She missed her 'ex' it seems and had many wishes and hopes there. With this card, if there were emotional troubles in the past it could indicate by digging them up she could have headed into disaster. There may be a place where she used to meet a person who fulfills this tarot and it may have been somewhere outside a Garden. I say this because the upside of this card is children in a garden offering something to each other, therefore I am looking at the reverse of this and believe that she is possibly where they used to meet. On the very downside, and because of the sensitivity levels towards family, this card may show an unhappy childhood and repressed and 'peter pan' state of mind. Relations/guardians can come up here and the knowledge that you cant or should not have children. I have to put this here because it forms part of this card. I do see some form of abuse but not sure where to attach this to whether to some acquaintance of family relation or whether to an ex love but unfortunately this shows up and though it may not be literal it is still here no matter what. Asking where Krystal is located at the current time we have the High Priestess which is a rather secretive card. It gives us a number 28 and very odd situations and information that will possibly come to light. The card has two pillars on it and a B and a J. Those initials belong to the name of a person, place or business and they should help to locate this girl. This could actually suggest that a FEMALE may know where Krystal is as this card is the High Priestess for location and the Magician sandwiches it as a preceeding card.This may not always be the case as other cases where this card has shown was actually a MALE - but they were attached to the family in some way or loosely linked or as agony aunts in the form of friends. The Magician is linked to BETH 2 hebrew which seems to indicate Krystal in a HOUSE for a period of at least 88 days, or figure 88 does figure somewhere. The following card after the High Priestess is the Empress which is a pregnant mother . The High Priestess is SECRETS and there is always some form of manipulation attached to this. It can sometimes be a woman either a cousin or aunt who live on their own. She might have a counselling attitude or be a person to keep a family secret. There is a seemingly high indication that someone thinks of Krystal as a 'loose woman' and that she uses her sexuality as a weapon. This card the High Priestess is about HIDDEN WRITING - therefore there must be a message that can be found to give more information on Krystal. The three of swords indicated communications which it seems now that I read the case Krystal spoke to people on the internet. This would suggest a direct connect to where she is as the High priestess would signify messages that are not found. Clearly they will be? Next I edit in here what the tarot gives us for after 3.a.m on 20 June 2009 to Krystal. We get the Emperor. He is the 'law' so he is someone who gives out 'orders' or some advice through experience. Therefore it appears his 'experience and counsel' could have been sought. This person can plan 'what happens next'. Curiously the Emperor is linked to the Number 4, so one might wonder whether it is giving us a 4am time I cannot be sure. Also we have Hey Window 5 attached to this - I do not know whether Krystal was at the ground floor or above, but perhaps she was called to her Window? or could it be windows on Computer of that I really cannot say except this is not a sword card this is a ruling card - so somebody who is fairly intelligent and someone you just might obey? This card links with SIGHT - therefore someone sighted from the Window? the card is also ARIES and Aries are quite impulsive and can be hot tempered even. Aries as anyone might know astrologically seem to be fire people and quick to react. This is a dominating person who quickly effects a 'change' in the situation . They are an authority figure so definately someone who Krystal would have to obey. Once again we have the 'father' word attached to this whether friend/family or otherwise they seem to be in a position where Krystal would have to do what they said. These people make order out of chaos, therefore when they have a problem they can plan, organise and decide what to do with quick efficiency and put a structure in place to follow. If this was the 'ex' of Krystal or father of her child he would be telling her he is 'sterile' .? He may need to put what is good for himself above the situation of the Empress - Krystal and do something he just does not want to do - or deny responsibility? However there is the side of him that wants to do the right thing so this is going to be very difficult to decide if this person has been good to Krystal or not but the following card is the Heirophant which is the Pope so there are even some religious overtones here and seemingly some good advice being given?. If this Emperor is a person they may have white or blonde hair and even a beard. Some may say that it could even be a 'grand-parent figure' but again I am not able to say exactly who or what only that it does seem that something has been suggested here and it is someone who Krystal would need to respect for whatever reason. It does not have to be father or grandparent but just someone who is a ruling factor here. I offer this as some help and will write further more details as I intuit them. Going back to ask another question which has puzzled the detectives. I have asked tarot firstly where is Krystal's mobile phone. I received the seven of wands which I think is the card for Pyramid Hill as there is a Hill on this. There is also a CIRCLE - mentioned so it may be saying that the phone is back where she began her journey. However, we are dealing with Tarot and Iching and we can only write what we get. What Iching gives to me is that the 'wind died down' and that one should penetrate under the bed. I am assuming then that this phone did run out of credit as confirmed by Iching and that it could be beneath the bed or under the covers. It seems to me that there is a problem asking this question too, because without it one can leave 'everything behind'. Its worth re-reading the information of the 7 of wands as this equals the information given by Iching in both are clues to the mobile phone.One may also consider that the phone put to bed could simply mean it not working but it does seem to me that it took the same journey perhaps as Krystal? That is why we need to re-read the seven of wands tarot as the answer is within it. The only other kind of 'bed' I can think of considering the water in the seven of wands could be river bed or water bed as to where this telephone may be. Concerning the 'circle' - on a map I see there is a Pyramid Hill Oval. Maybe its worth mentioning. I have been left a question in the comments section on Krystals page. Here is the question. "hi empathy u mentioned the phone may have taken the same journey as krystal and the bed of water i was wondering if u feel the water was near the hill or the oval thanx empathy "
The answer to the question is the 8 of wands. The Eight of wands just says YES!! Note that the 7 of wands is in the tarot - it is then followed by the 8 of wands, the 8 of wands comes out as an affirmative for this question. The 8 of wands is described as a house on a hill in the distance, countryside or open grass and a small rivulet of water there. It seems very difficult for me to say one thing or another on this. If the house on the Hill is in the distance and the water runs before it - does that mean before or after the Oval? I dont know the area or the route - all I have is that description and a YES. It would help if I even knew what the Oval was - or get clear pictures of Pyramid Hill and the dynamics of the situation and directions or links of how these places go together. What I can say is that the next card from the 8 is the 9 of wands shows a semi circle Barrier - like a palisade and that might indicate the Oval. Im afraid this one is up to the experts with good geographic knowledge but all I can do is hope that it helps or is actually good indications from tarot. I cannot promise accuracy I can only record what I get. I thought I would show you this. The card above is the seven of wands. This card I would describe as PYRAMID HILL. Then when answering question about the Mobile Phone in comments section we have been given the 8 of Wands. I have already spoken about the eight of wands. Then we have to look at how the eight of wands is SANDWICHED - i.e. what comes first and what comes after in respect of the tarot cards. The card AFTER the eight of wands is the Nine of wands.If you look at the picture of the 9 of wands it shows you someone with a WAND IN THEIR HAND. ( IE, someone HOLDING a phone?) and possibly near or at the Oval? They are standing in a half semi circle ( ie., perhaps one end of the Oval ) looking left and looking right. It would therefore suggest that the mobile phone was with Krystal or someone else? and that it could very well be between the point of the 7 of wands and the 9 of wands. Therefore it is reasonable to 'consider' the area between Pyramid Hill and the Oval? Again I cannot be absolutely sure of my diagnosis. I can only present what I see. This description shows what Krystal was wearing. The wand is likely the mobile. The 'wands behind' are a wall -i.e., natural limitations and boundaries mentioned. If the Oval is a stadium, it could be considered a 'stage' - if the card is a Fire card it is ACTION and a stadium is a place of Action. Therefore if we link this to the CIRCLE and to the 7 and 8 of wands it seems to make sense that this is the OVAL? Dealing with Location for Krystal is never easy. I am always very weary of posting 'my thoughts' on locations because it is far too vague to make any promises and very unfair to families. However, I can try to give an 'impression' and that way at least someone else can try to put together what the images might mean to them. I could of course write down areas that MIGHT link but there are absolutely NO guarantees to that and I would not wish to send anyone on a goose chase. One thing that has come up today with the I CHING is 'waiting at the Sandbanks'. I am absolutely feeling this is a riverside location and the fact that it is sandbanks tend to make me feel it is auspicious for finding her. I also get the impression of the 'Tullerie gardens paris' now first of all that does,nt necessarily mean that location but what it can mean is a place where people relax and unwind, just like you would in a park. By the Riverbank gives the impression of somewhere with a green area nearby or attached or somewhere that people would gather, talk, have fun maybe even holiday. That is where I ching tells us we may be able to find Krystal. However, the feeling I had was that Krystal would have wanted to 'hide from an adversary' and therefore would need to have made sure she could not be found. Obvioiusly Im not sure about the state of play in that. I have already had River - Bed given to me so having Sandbank seems to confirm her near water. I see that once again the North and East are areas that Krystal should avoid and South and West are better, so I would just lean towards the South primarily. There is a Port Phillip with a hotel called Sandbanks that is in the South however, that is just possibly a complete coincidence and I would not be telling people to rush there. What I will say is that the River Murray still forms part of the links around Bendigo that's if my geography lesson on Google is correct. Mentioning Rivers is hardly easy to anyone and particularly LE because its far too expansive, but regardless I just write the real information that Im given where my own 'guesses' should not be taken literally. Therefore I am not confirming anything in the region of Port Phillip only happening to say that it does have a 'sandbank' name that could be pulled out here with this I ching information. I do feel that Krystal can be found. What I also feel is that it could be through the baby that Krystal is found as something may be wrong there. Whether that means that the baby is sick or ill that makes attention to it necessary I am not sure. Line 2 arrives at the sandbank of the riverside. The river and peril are in front; it mustn’t take risks to cross the river but rather waits with broad-mindedness, even though accompanied by some complaints (or criticisms), like sand getting into the shoe. Once the timing comes, i.e. this line is activated and changes to the feminine, the hexagram Chi Chi forms; it ends up with auspiciousness. I do trust that Iching is giving this River/sandbank area as a place where Krystal will be found. As you can see gossips and critiscisms are all part of the situation and I know Krystal would have worried about what people thought of her but she should try to ignore all that from what I can see. I dont know if someone has hurt their leg? There is a cold and wintry feel so Im wondering if this is a season to find Krystal or whether its just bad weather? I also seem to think of the Bass Straits. I really do hope that I dont lead people astray here but everything is worth writing down regardless. Not at the moment will take a look very soon. I am not sure. I will go over this tarot and look again. I would like to share my psychic insights with you concerning Krystal. I think she is alive. My information from the Akasha says that she had a place to go from the hospital. It is like a huge hall where several people live together. As I see they form a religious sect and offered help for Krystal because she was so lost in this world. As I see the baby was born to be healthy, she got an identity and was adopted, which was on purpose. I mean they knew Krystal earlier and suggested that she should leave hospital and go to this community where she will get help. So I think she is all right but the trauma she suffered is quite strong. She needs help and these people help her, so she is not alone. She remembers quite a lot from her past but all in all, she is better balanced and more satisfied now than before. Tarot did make a suggestion Krystal might be 'keeping out of the way' I hope so. Not everyone who goes missing meets a bad end and sometimes we have to understand that disappearing from the scene is beneficial to the person in question. Eventually we will receive news about Krystal I hope so anyway. Thank you for your contributions to Krystals case and putting your insights here. Hi Empathy, This is a sad one isnt it? I wanted you to know that this has come up on the Australian news again in the last week or so, and that the Victorian Police have now offered a $100,000 reward(AUD)- (i dont know if you are UK or US sorry Empathy)hoping that this will trigger some information on Krystals fate. Fingers crossed for her, i do hope your reading that she was being kept out of harms way is correct, i hate to think of a heavily pregnant woman being harmed. Just Awful for her and for those looking for her!! I will let you know any police updates, hopefully a good ending for her. Hi Empathy, i dont know how to send a link so i have copied and pasted this article, from ABC online, dated 21st June. POLICE are offering a $100,000 reward for information to help solve the mystery disappearance of an intellectually disabled woman who went missing days before she was due to give birth. 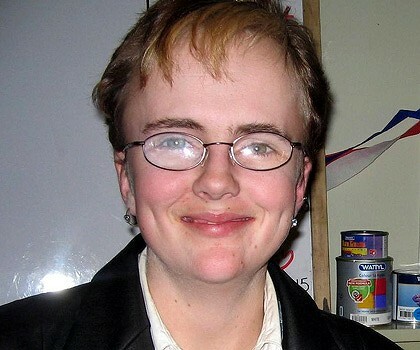 Pyramid Hill woman Krystal Fraser, 23, was last seen leaving a house in Albert Street, Pyramid Hill, about 9.30pm on June 20, 2009. Yesterday marked the third anniversary of her disappearance. Lead investigator, Detective Sergeant Wayne Woltsche, said the monetary reward might provide the incentive for someone to come forward with information. “It’s an opportunity for someone who may have changed circumstances, a relationship or something, or perhaps they now feel strong enough, to come forward with that vital piece of evidence,” he said. Investigators believe Krystal was murdered and, despite extensive investigations, are still searching for answers. Detective Sergeant Woltsche said Krystal’s family had accepted they would never see her again but needed closure. He said he maintained regular contact with the family and, because of all the hours spent trying to solve the mystery, had a personal interest in the case. “They’re after closure, they’re just after something... I’m still on the case. “It remains with me and a team who’s been with it from the start.